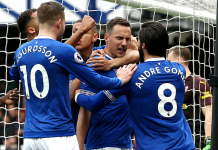 Everton's Gylfi Sigurdsson (centre) celebrates scoring his side's second goal of the game during the Premier League match at Goodison Park, Liverpool. 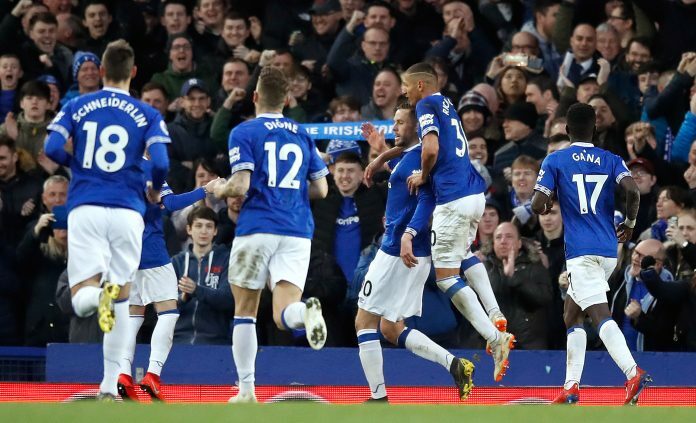 Sponsored by FansBet, Matt Jones, Mark Mosey and Nick Prebble react to Everton’s victory against Chelsea. Listen below or search for us on your chosen podcast provider to subscribe to our free shows.